The ride to Pinhey’s Point takes you through Kanata and along the Ottawa River to one of the region’s more interesting heritage sites. 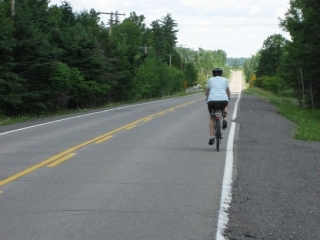 It is a fairly long ride; the return trip from downtown Ottawa is close to 80 kilometres. 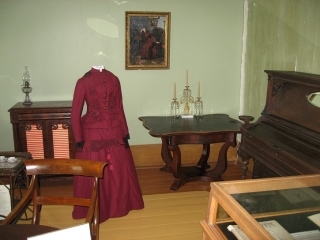 This route makes use of bicycle paths, the paved shoulder of a fairly busy thoroughfare, and several quiet country roads. 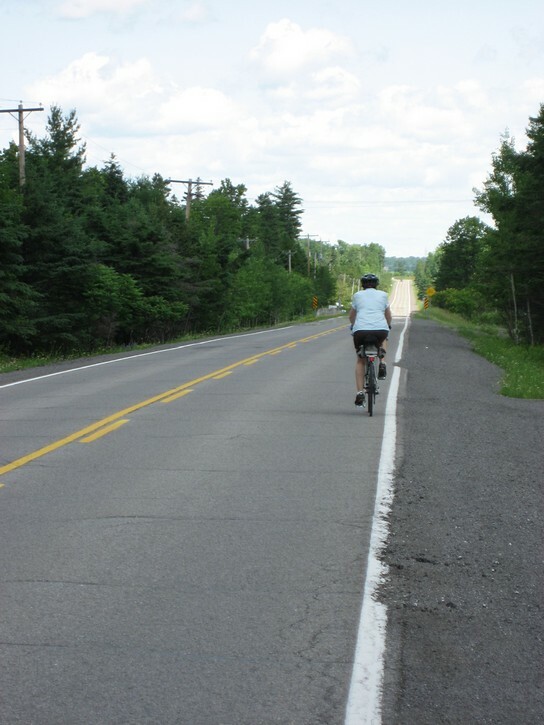 Initially, the terrain is generally flat, although you will encounter a couple of long slopes on the country roads in the vicinity of the Ottawa River. 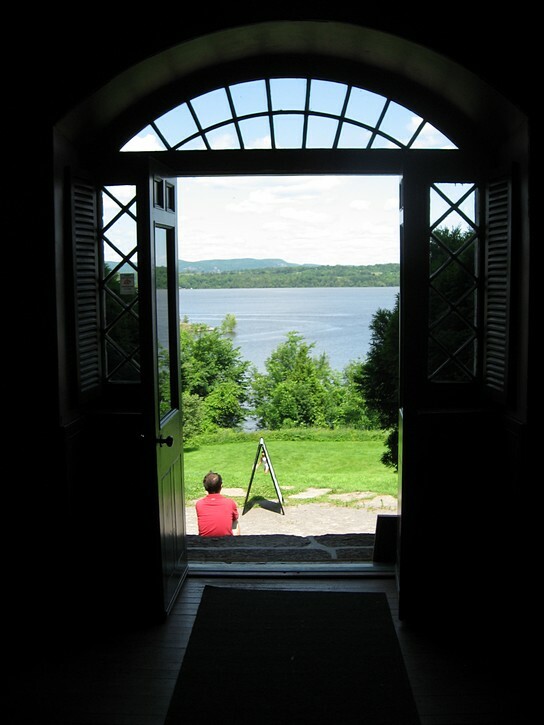 Looking out from the old manor house. 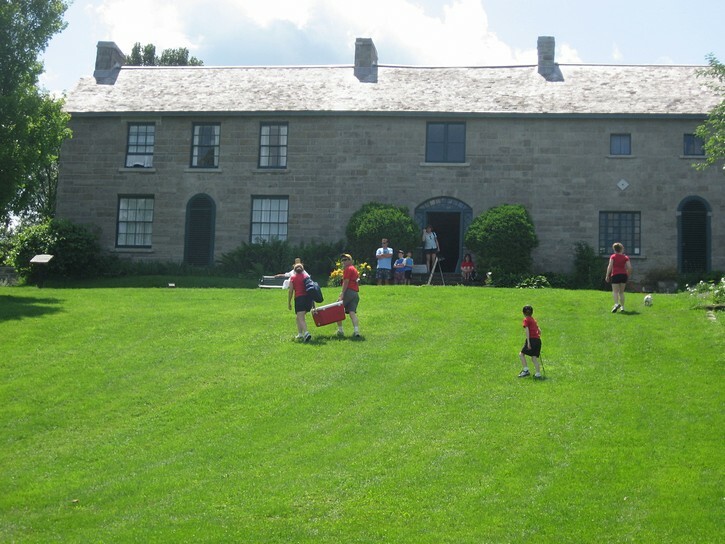 The turn around point for this ride is Pinhey Point, the home to an impressive historic site which is surrounded by an 88 acre park. 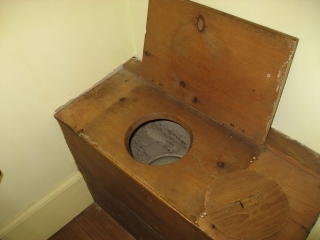 In the early 1800s Hamnett Pinhey was granted a thousand acres on the Ottawa River for his services to the King as blockade runner during the Napoleonic wars. He quickly transformed this land into an estate which included a large manor house. 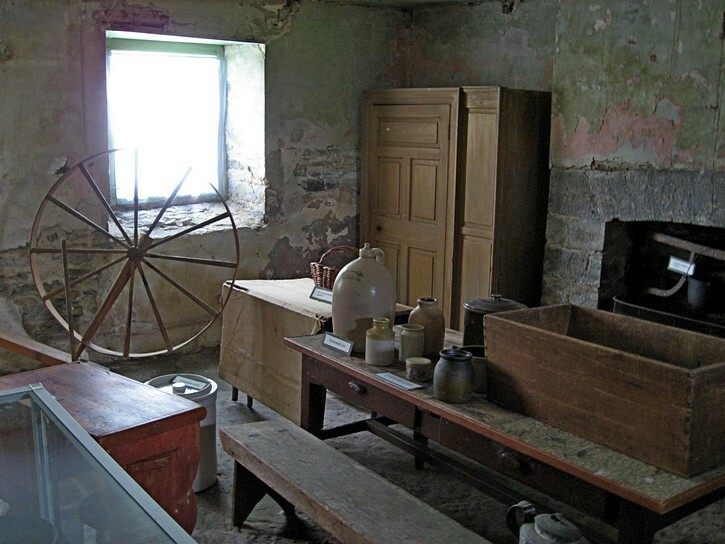 This manor house has since been restored to how it might have originally appeared, and is open to the public from Wednesday to Sunday during the summer months. 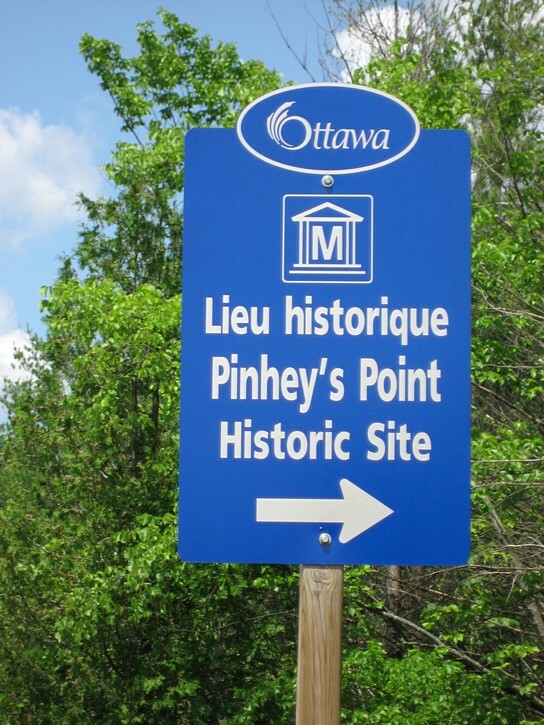 See the Pinhey’s Point web site for exact hours of operation (link below). People are free to roam around the park even when the manor house museum is closed on Mondays and Tuesdays. 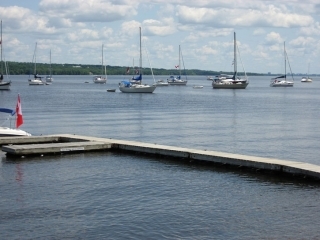 Here you will find public washrooms, picnic tables and barbecues, walking trails, and a great view of the Ottawa River. 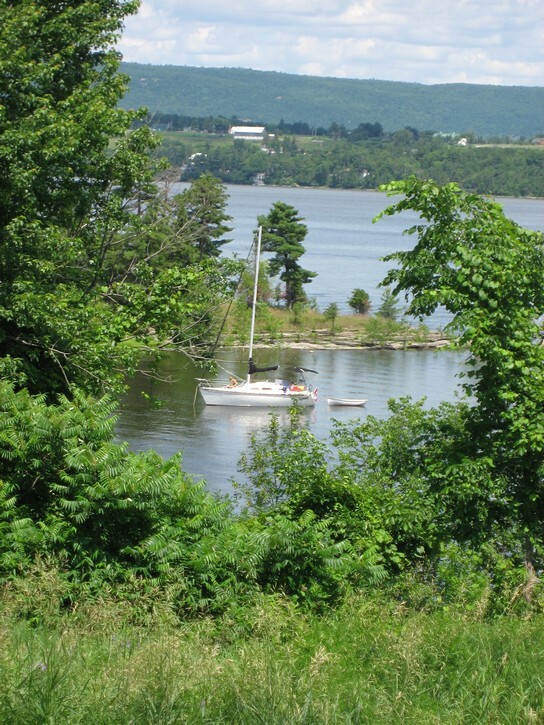 As an added bonus, Pinhey’s Point is also home to one of the most popular anchorages for boats cruising this part of the river, and you often find an instant community of sailboats in the small bay immediately opposite the heritage site. All this makes for a very scenic spot that is an ideal place to stop for a rest or to enjoy a relaxing picnic. You will start off this ride by taking the NCC pathway which leads towards Britannia Park (the “Ottawa River Pathway”). Continue on it until you get to Carling Avenue, where you will cross the road (don’t follow the path along Carling). After a little while, you’ll also have to cross Holly Acres Road and Moodie Drive. The segment of the pathway between Acres Road and Moodie Drive runs more or less parallel to the Queensway, and you can get on it right at the beginning of Aero Road. 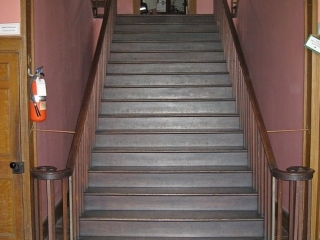 It used to have crushed stone surface, but was paved in 2009. 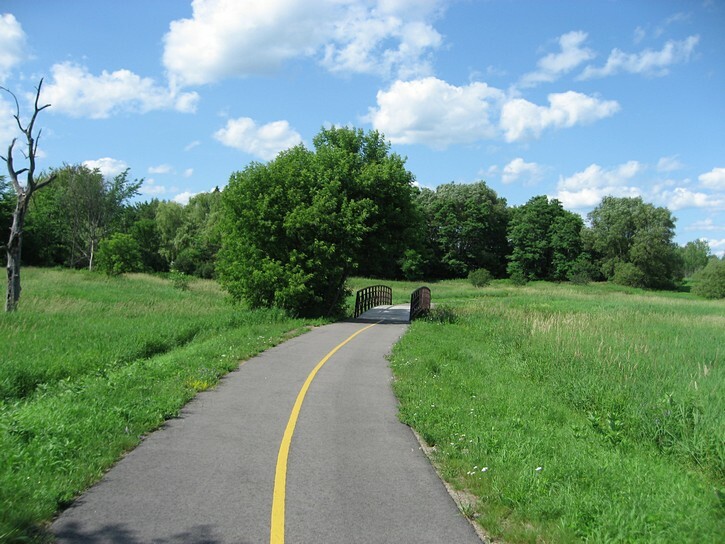 Once you are on the other side of Moodie Drive, you will be cycling on Watts Creek Pathway which passes behind the Nepean Equestrian Park. In about two kilometres you will see an opening in the chain link fence on your left side. 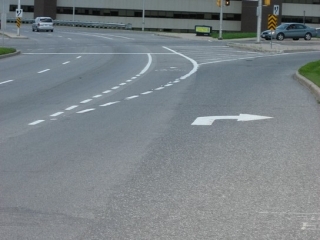 You would normally turn left here go to Stittsville, Carleton Place or beyond. 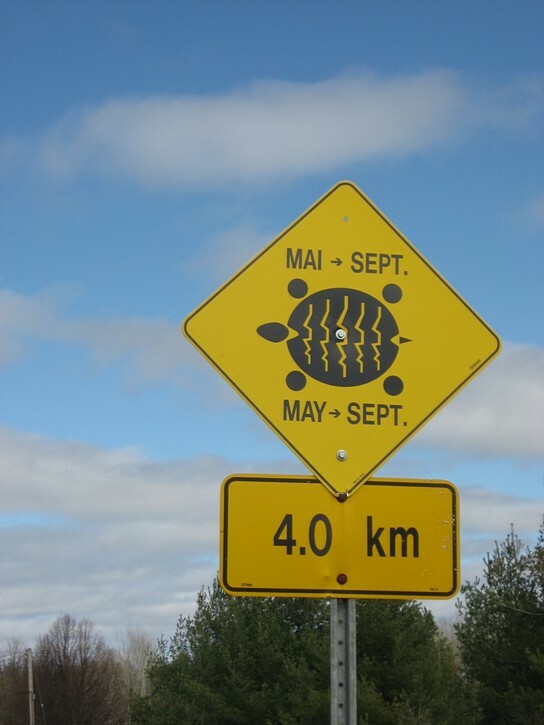 However, to get to Pinhey’s Point, continue straight ahead. You soon come to a couple of forks in the path, and you will want to stay left. You’ll pass behind a golf driving range and under an overpass in the middle of a field (there’s a railway line above it). From here on you simply follow the path through the rolling fields to March Road. major thoroughfares, is four lanes wide, and quite busy. 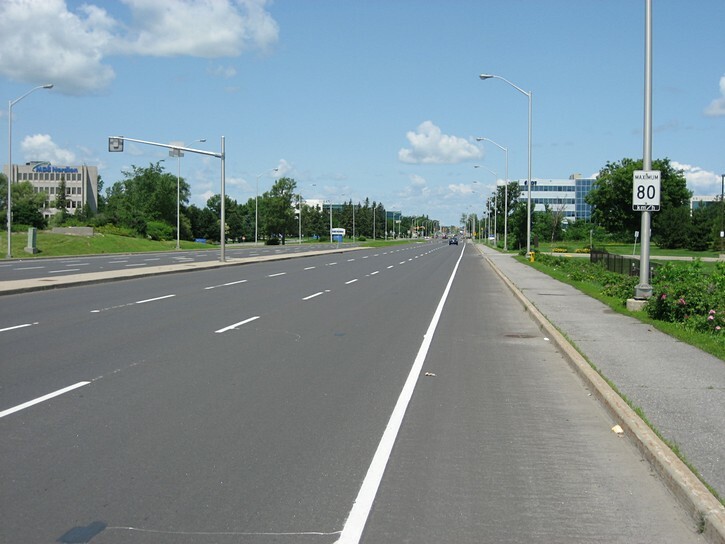 The good news is that it is fairly easy to cycle along this road because it has a wide paved shoulder which is in excellent condition, and which is identified as a bike lane. The only problem is there are short gaps in the bicycle lane for cars to turn off March Road at major intersections. These gaps seem to encourage the idea that cars don’t have to worry about cyclists when crossing the bicycle lane to turn off the road. (One has to wonder how people can get away with designing such stupidity). 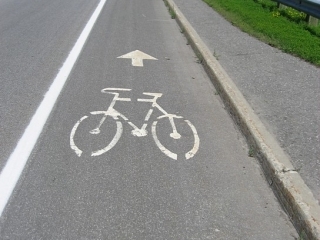 Whatever the case, it is simply a matter of making a special effort to keep an eye out for traffic when crossing one of these short gaps in the bicycle lane. March Road initially runs northward, but it eventually veers to the left and heads west. At this point you will be riding through the heart of what used to be known as “Silicon Valley North” (this moniker seems to have fallen out of favour after the “dot-com bubble” burst early in the new millennium). Nevertheless, it is impressive to note the number of high tech businesses that popped up here during a few short years in the 1990s. 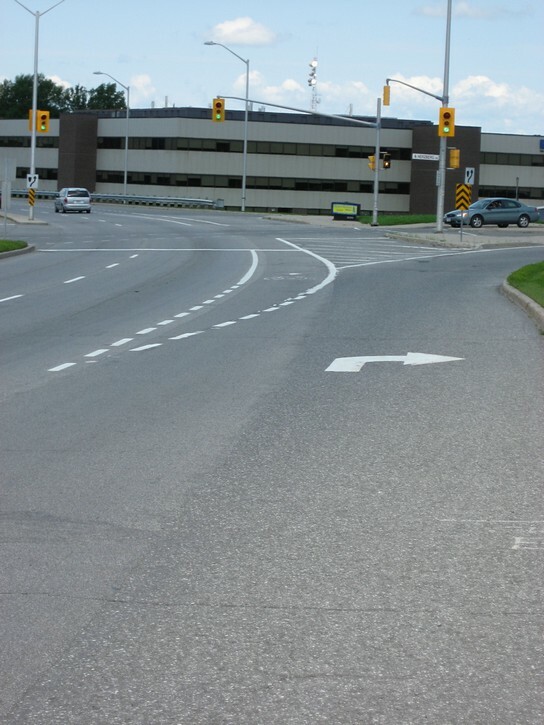 As you cycle towards the western end of the high tech business park, you come across a small strip mall on the northwest corner March Road and Terry Fox Drive. It has a couple of fast food outlets (including a Subway) as well as a convenience store. There is even a pub with an outdoor terrace at the far end of the mall’s parking lot. 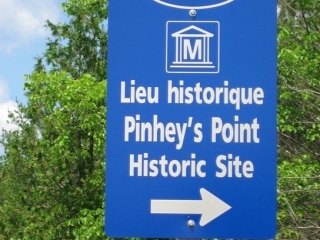 All this is worth noting because this may be your last chance to stop for food or to stock up on something to drink before heading on to Pinhey’s Point. About a kilometre after Terry Fox Drive, you will have the choice of turning right on Klondike Road, a wide residential street. At the end of Klondike Road, turn left onto March Valley Road. It will take you all the way to Riddell Drive where you turn right for the final stretch to Pinhey’s Point. March Valley Road doesn’t have a paved shoulder or bike lane, but is a quiet country road that doesn’t have very much traffic. In stead of turning onto Klondike Road, you also have the option of continuing on March Road. 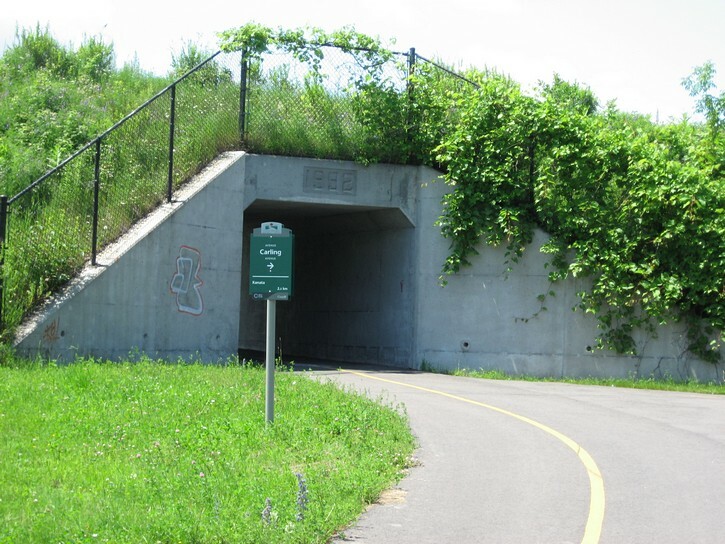 This is the route most cyclists used before they paved March Valley Road. When you reach the traffic lights (and sign for Constance Bay), turn right and ride a few dozen metres on Dunrobin Road, and then turn right again to get on Riddell Drive. Note that this part of March Road is a busy two lane secondary highway. Although it has a wide paved shoulder, it’s not in great shape and not really a pleasure to cycle on. 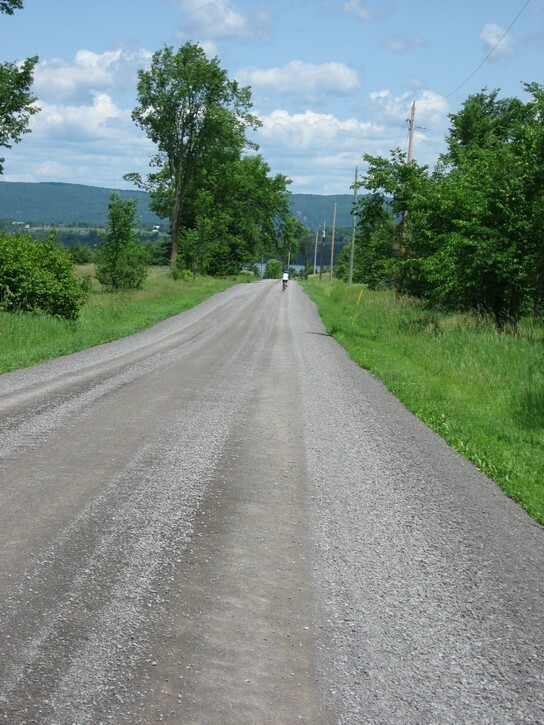 Regardless of which route you take, you’ll end up on Riddell Drive, a long straight country road which heads north towards the Ottawa River. It does not have a paved shoulder, but this should not be a cause for concern since Riddell Drive isn’t very busy (with the possible exception of a brief furry of traffic during rush hour). The scenery along this road generally consists of brush and conifer trees with some wetlands. 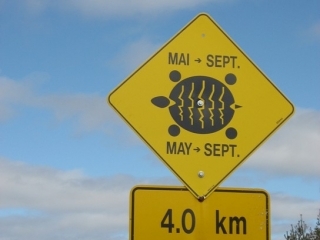 Riddell Drive has official traffic signs warning people to keep an eye out for turtle crossings. You may also notice a series of sternly worded signs from the Department of Defence to keep out of the land on the east side of the road. It is worth mentioning that in comparison to the ride up to this point, Riddell Drive can be a little hilly. Nothing too serious, mainly gradually sloping hills. 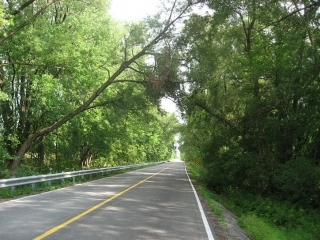 In about four kilometres Riddell Drive turns westward where it becomes 6th Line Road. 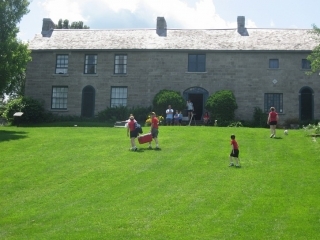 Here you see the entrance for the YMCA Camp and the Kanata Sailing Club. 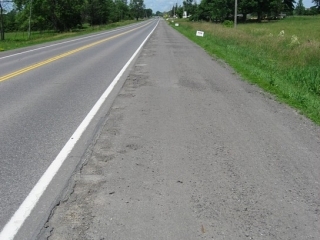 As was the case with Riddell Drive, this road has no paved shoulder and very little traffic. It has some rolling hills (nothing too big) and parts of it are lined with nice tall trees. 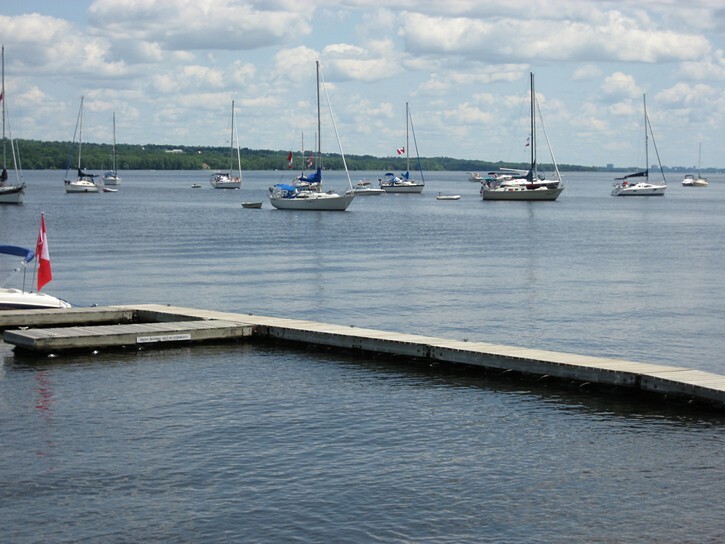 Although 6th Line Road parallels the Ottawa River, the waterfront is not visual distance. 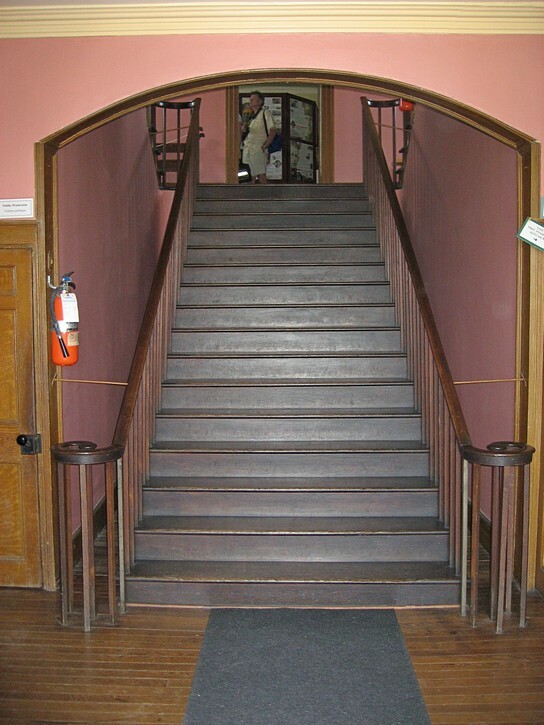 You will, however, notice that it is home to a number of large estates. You can’t see the mansions from the road, but you can imagine what they might look like by the fencing and gates in front of these properties. 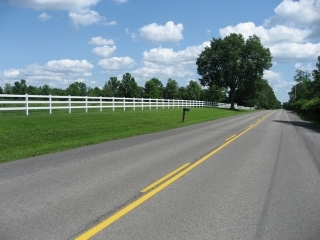 When riding is this area, you may be tempted to look at a map in order to find other routes, either to avoid the latter part of March Road, or simply to explore alternates to Riddle Drive or 6th Line Road. If you do, choose your route carefully because you could end up on a gravel road. Figuring things out on the fly can be difficult because the first part of these gravel roads sometimes have an asphalt surface. 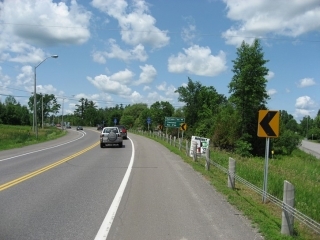 After riding along 6th Line Road for about 4 kilometres, you’ll see the sign indicating where you should turn to go to Pinhey’s Point. 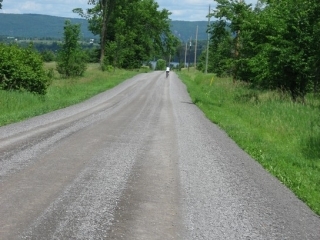 Unfortunately, you have to cycle the final kilometre on a gravel road. 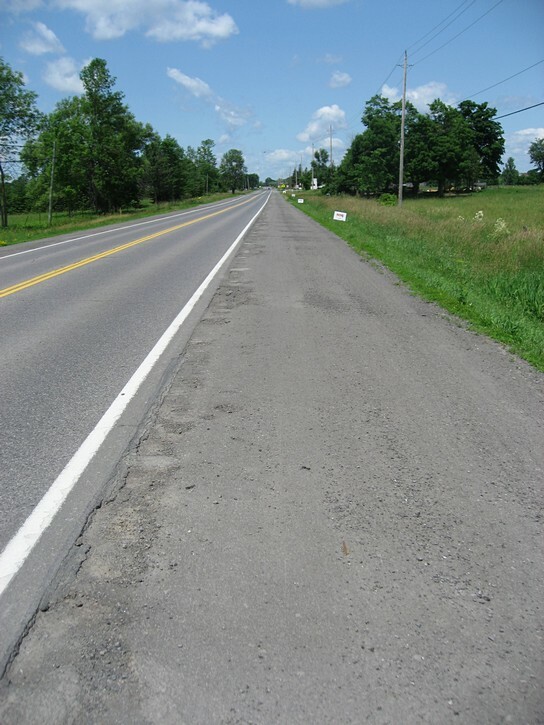 There is usually not too much gravel on the tire ruts in the middle of this road, which tend to have a fairly smooth hard packed surface. 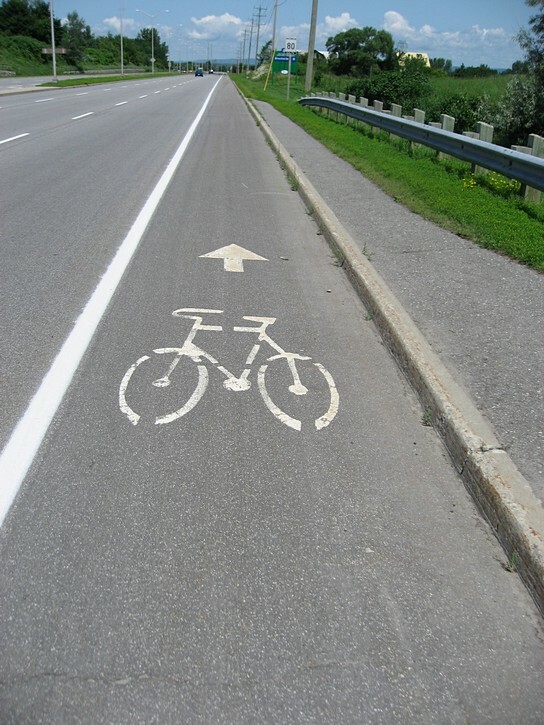 This means it should be possible to ride the final kilometre with a bike equipped with narrow road tires without too much difficulty. 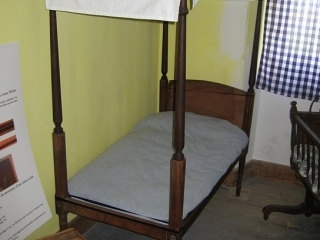 If you are uncomfortably with this, you can always walk you bicycle the relatively short distance remaining to the Pinhey’s Point Historic Site. The Pinhey’s Point site doesn’t make a big effort to cater to cyclists, but with a little looking around you will be able to find a place to lock up you bicycle. 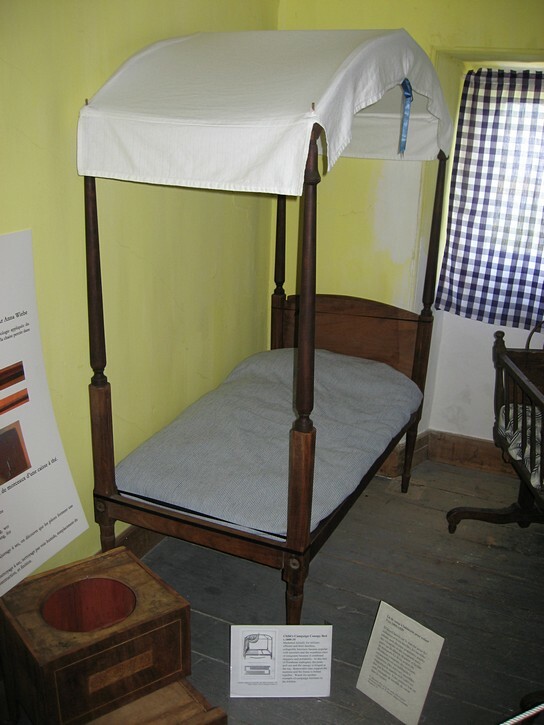 If you arrive during the site official hours of operation, it is well worth your while to take a guided tour of the old manor house (admission is by donation). 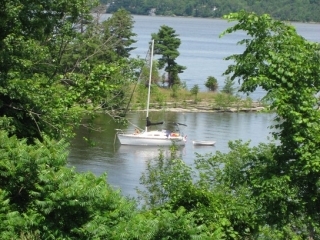 You will also want to take time to walk down to the small bay to see what’s happening in the anchorage. Whatever the case, the surrounding park is a perfect place to rest and enjoy a mid day meal. Note that you have to bring all that you need for your picnic because there is no place to buy food or refreshments at the site. 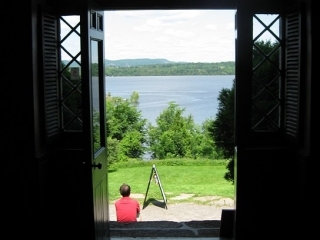 Your visit to Pinhey’s Point may well convince you that it is a hidden jewel among the many historic sites and attractions in the National Capital Region. It makes for an interesting and relaxing turnaround point when planning a day-ride in the area west of the Ottawa.